Madame Anna A. Guérin (the “Poppy Lady from France”) was not in a position to visit Australia & New Zealand to promote her ‘Inter-Allied Poppy Day’ scheme, leading up to Armistice Day 1921. After weeks staying and working in Canada, plus making a visit England, time constraints meant that it was impossible for her to promote her scheme personally. Instead, Anna Guérin sent Colonel S. A. Moffat “down under” as her representative. She sent him off on his quest in the July (1921) and he sailed from Vancouver, Canada in the August. Madame Guérin’s Colonel Samuel Alexander Moffat. Edited from Passport Application, 18 July 1921. U.S. Passport Applications; National Archives; Records Administration; Ancestry acknowledged. The Australian and New Zealand newspapers reported that Colonel Moffat was a Chevalier de la Legion d’Honneur and a former Red Cross Commissioner for the United States. He was linked to Madame Anna Guérin; French Children’s League; Australian relief work in France & Flanders; Austria; Hungary; Balkan States; the ‘Duchess of Sutherland’s Hospital Fund’; and the Serbian Child Welfare organization. How Anna came to know the Colonel has not been categorically discovered but his reputation would have preceded him and his connection with Australian relief work in France (whatever that was) meant he was an ideal person to promote Anna’s memorial poppy scheme “down under”. (See Colonel Moffat’s profile at the end of this chapter on Australia). 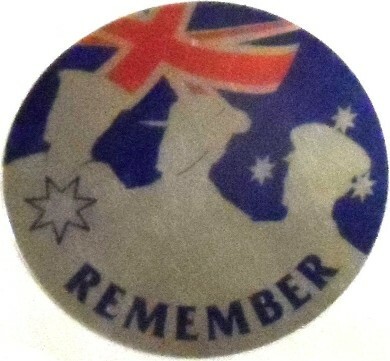 On 5 August 1921, at the close of the 6th annual congress of the ‘Returned Sailors and Soldiers Imperial League of Australia’ in Brisbane, it was announced that the League had accepted the poppy emblem. This decision was ahead of Colonel Moffat’s arrival. On 05 August 1921, The Telegraph (Brisbane) informed its readers: “SOLDIERS’ CONGRESS … …. THE POPPY. – It was decided; to accept a Canadian suggestion that the red poppy, so conspicuous on the fields of France, should be adopted as an international emblem on armistice day … ”. Canada is credited with this early decision because the Secretary of the G.W.V.A. had cabled the R.S.S.I.L. suggesting that they adopt the poppy as their memorial flower too. The cable also stated Madame Guérin ““the poppy lady from France,” was in Canada with millions of silk poppies made by the women and children of devastated France, and begged the Australian soldiers to promise her their moral support, and to take up a poppy campaign for Armistice Day in Australia.” By return, the R.S.S.I.L. asked for Madame’s credentials. The G.W.V.A. replied by letter, “quoting communications received through the Ambassador of the Republic of France and Washing ton, Monsieur Jusserand, which stated that the committee was entirely dependable.” Jusserand declared he was personally acquainted with Madame Lebon (managing president of the Paris Committee) and “gave his assurance that any funds sent to her would be most usefully and economically applied”. Additionally, he “confirmed personnel and enterprise of the Guerin Committee” and gave assurances that all funds collected from poppies would be “most usefully and economically applied”. Mr. B. F. McDonald (President of the New South Wales branch of the Returned Sailors and Soldiers’ Imperial League), gave some of the finer details in a statement in support of the Poppy Day movement, on 28 October 1921 (The Sydney Morning Herald (NSW) 29 Oct.) and the Muswellbrook Chronicle (NSW, 01 Nov.) added a little extra (all shown above). If it had not been for Australian veterans releasing these simple facts about the Canadian veterans’ influence (and the Australian press reproducing them), Canada’s contribution to the expansion of Anna’s ‘Inter-Allied Poppy Day’ scheme would have remained hidden to the author. “SOLDIERS’ CONGRESS … …. THE POPPY. – It was decided; to accept a Canadian suggestion that the red poppy, so conspicuous on the fields of France, should be adopted as an international emblem on armistice day, and it was mentioned that a French lady – would visit Australia, bringing with her silk emblems manufactured by women in the devastated areas of France and Belgium.” (Telegraph, Brisbane. 05 August 1921). Col. Moffat did not set foot in Australia until 13 September 1921 – he arrived in Melbourne from New Zealand. He would not need to persuade Australians to adopt the Poppy per se – just promote and make arrangements for poppy distribution on November 11th. The headquarters of the ‘Returned Sailors and Soldiers Imperial League of Australia’ (RSSILA) was in Melbourne at that time and Colonel Moffat was entertained in Melbourne on the 14th, by representatives of the League. Australia seems to have been the same as the USA, with regard to veteran group structure. The ‘Returned Soldiers’ League’/Returned Sailors and Soldiers’ League of Australia’ had State branches and each branch had a President. Each State branch had to officially adopt the poppy. The Colonel must have made a visit to New Zealand at some point after this, because he was found departing the Port of Auckland, NZ on 01 October 1921 … returning to Sydney. During the night of 07 October, Colonel Moffat arrived in Brisbane (on the mail train). On 12 October, he called on the Consul for France (Major H. R. Carter). In the morning of 14 October, the Colonel addressed a meeting at the Town Hall, where Alderman H.J. Diddams (Mayor of Brisbane) presided. The Brisbane Courier reported on that Town Hall meeting the next day (15 Oct.), under the heading: “POPPY WEEK”. It reported “Poppy Week” would commence on 04 November and the proceeds would be divided between the war orphans of devastated France and the Australian returned soldiers. A Committee was formed to organise this “Poppy Week”. Mrs. J. W. Hetherington was appointed chairwoman and Mrs. M. Baldwin hon. Secretary. The executive committee was to comprise “the Mayoresses and wives of shire council Chairmen in the metropolitan area”. The article also mentioned a second meeting held in the afternoon at South Brisbane Town Hall and a third meeting held during the evening, in the Odd fellows Hall, Toowong – the Mayor (Alderman C. Patterson) presided. Further meetings were arranged. Colonel Moffat must have made a grand impression on Australian veterans because, on the 14th, it was announced that he had been made an honorary member of the R.S.S.I.L.A. – a compliment rarely conferred by the league. Colonel Moffat left Brisbane for Sydney either later that day or Saturday 15th, on the ‘Canberra’. The following women’s groups were to be asked to help make Poppy Day in Hobart a huge success:-Mothers’ & Wives’ Association; V.A.D’s. Red Cross Society; Wattle League; Victoria League; Girl Guides; Nurses’ Association; and O.A.S. Society. A public meeting was planned at the Dugout on the 27th October – anyone willing to help was asked to attend. On 21 October 1921, Col. Moffat was mentioned in an interesting article in the Sydney Morning Herald headed “POPPY DAY. FOR REMEMBRANCE. INTERNATIONAL MOVEMENT.” The article informed readers of the reasoning behind Poppy Day and continued “… All the allied Governments have co-operated in this movement by remitting the customs duties on the poppies, and by furnishing free transportation of the packages on steamships and railways. Yesterday Colonel Moffat was received by Sir Walter Davidson. Both the Governor and Dame Margaret Davidson have willingly extended their patronage to the movement and have agreed to serve on the honorary committee which is promoting it. In spite of the decision of the authorities not to allow the sale of poppies in the streets of Sydney on Armistice Day (a prohibition due to a now regulation limiting such street sales to two days in a year) the Idea will be carried out. Arrangements have been made through shops, theatres, hotels, and other means, to sell poppies before November 11 because it is believed that the people of New South Wales are as truly patriotic today as they were during the war, and will be only too willing to join in celebrating Armistice Day in this manner. The Sydney Morning Herald article of 29 October 1921 further informed “… the league’s annual congress at Brisbane decided to adopt the poppy as the emblem to be worn on Armistice Day, and to organise and control the sale of poppies received through Madame Guerin. … … Colonel Moat, [sic] Madame Guerin’s representative, who had since arrived In Sydney, with original credentials, added Mr. McDonald, stated that the moneys destined for France were to be sent by the Returned Soldiers’ League direct to the French Children’s League Headquarters in Paris, or to any organisation for relief of French war orphans, which might be designated by Madame Millerand. Women and girls from such groups as the Red Cross; Catholic Girls’ Guild; Girls’ Friendly Society; Housewives’ Association; Girls Guides; Mothers’ & Wives’ Association; Nurses’ Association; Overseas Australian Services Society; Victoria League; Voluntary Auxiliary Detachments; Wattle League; & schools were recruited to distribute the poppies. 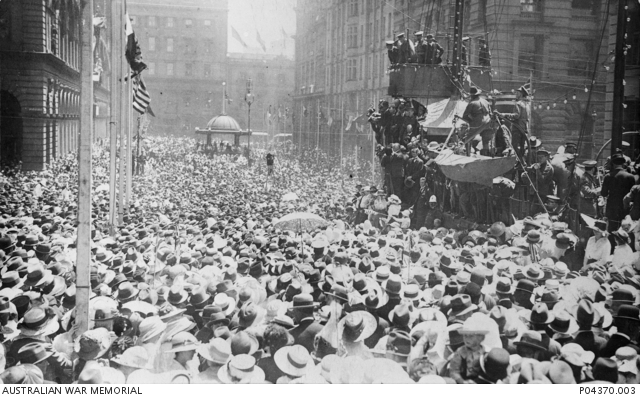 In Sydney, it was noted that His Majesty the King wished a cessation of activity throughout the country/Empire, for two minutes at 11 a.m. on Armistice Day and this was carried out with reverence. In contrast, Newcastle (New South Wales) did not observe the silence and traffic kept driving during the memorial services and most business houses continued to work during the two minutes’ silence. On 10 November 1921, the Guyra Argus of NSW reported: “The widows and orphans of French soldiers have been working hard for some time in making red silk poppies in the devastated areas, and this little flower is regarded as the symbol of sacrifice. Those of us who have been more fortunate than those widows and orphans will have the privilege of helping them to-morrow by purchasing a red poppy – at 1/- each. 45 per cent. of the money so realised will go back to France, 45 per cent. to the Returned Soldiers’ League, and 10 per cent. to the Warriors’ Day Fund.”. … and so … Armistice Day dawned in Australia, Friday 11 November 1921 … the title ‘Warriors’ Day’ went hand in hand with that commemoration day. 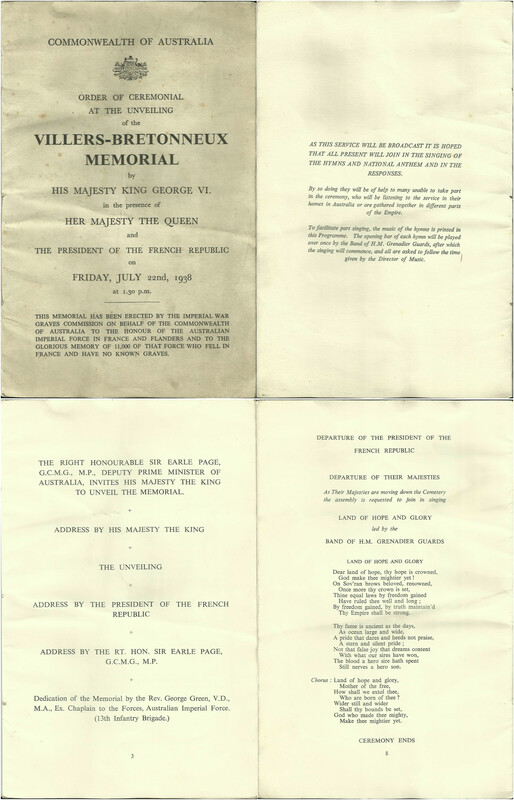 Ahead of Armistice Day, newspapers across Australia proclaimed that His Majesty the King wished “a suspension of all normal business, works and locomotion throughout the British Empire during the two minutes’ silence at 11 a.m.” on Armistice Day and this was carried out with reverence … on the whole. “BUY A RED POPPY. A DIGGERS’ APPEAL. Major Burf Sampson (late 15th Batt., A.I.F) writes:- May I, through your valuable columns, be permitted to remind your many readers of the mighty debt we owe to France, and how we may liquidate a trifle of that same debt by one and all buying a red poppy to-day. I know of no more deserving object than that for which the proceeds will be applied, viz. helping the children of France in the devastated war zones. Though three years have come and gone since “cease fire” sounded, and the mighty armies of men ceased to kin and destroy, the need for help and succour is great, particularly amongst the little ones. A Scots lady friend of mine, who is working among the returned refugees on the Somme, writing recently from Montauban, stresses the urgent need for warm winter clothes for both little boys and girls, and asks for gifts of any old woollens. Just picture these children, living amongst grass-grown ruins in hastily constructed wooden dwellings or iron huts. Winter is coming on, and those of us who wallowed in the Somme mud and morasses of the salient in winter time know how cruel and bitterly cold it is. Imagine little girls and boys, too, often ill-clad and not on a plentiful army ration, cheerfully carrying on amid the depressed gloom of a village lying from year to year in ruins, overgrown with weeds. The French children have scarcely any toys. Some have never seen one. Think of it! Nothing to give joy to little hearts living amongst scenes of desolation and frightful ugliness. The returned soldiers of Australia, with the very great help of that noble band of womanhood who did such wonders for them, during the long years of the later bitter struggle hope to-day to raise a considerable sum for their little friend of the devastated areas. So buy a poppy, fashioned by the hands of some little Annette or Jeanne, and help those who help themselves. Kind deed speak louder and last longer than brave words. The Poppies have been made by the children and some thousands have been sent out to Australia, and in Perth a very strong committee of ladies has been formed to organise to sale. Only those who saw what France and what the kiddies of France suffered, have any idea of the extent of their need, of their bravery, and above all of their love for “the Aussie, the Digger.” Let all be up and doing and the West is not going to be behind hand in the matter. All monies collected will be sent direct to the head organisation.” This last sentence may suggest that, perhaps, each R.S.S.L.A. branch had a flexibility about funds collected OR perhaps the paper made an error? “IN BROKEN HILL “LAST POST” PLAYED. POPPY SALE IN ARGENT STREET. Armistice Day is being observed in Broken Hill to-day. At 11 o’clock this morning Bugler Nankivell, a returned soldier, sounded “The Last Post” from the Returned Soldiers’ Hostel, and returned men within hearing sprang to attention and remained so for two minutes, when “The Reveille” was then sounded. The employees in most of the business establishments stopped work for two minutes. The trams were stopped, and transaction of business in public and Government offices was also suspended. From an early hour this morning, flags were flown from the Town Hall, Courthouse, Returned Soldiers’ Hostel, Broken Hill Club, and other places. From 11 o’clock onwards a committee of women sold red poppies from a stall erected in Argent-street. The sale will be continued to-night, when the stall-holders will be assisted by a number of school girls. INDIFFERENCE. ARMISTICE APATHY. NO NEWCASTLE SILENCE. Clergyman’s Criticism. The fact that the two minutes’ silence was not observed, and that traffic went on uninterrupted in the streets of Newcastle, was strongly commented on by the Rev. Lundle, at the post office service this morning. When eleven o’clock struck there was nothing to distinguish the day from any other, except that a fairly large crowd of people gathered at the post office. In the crowd were a number of Newcastle’s representative citizens. There was a short service, presided over by the Mayor (Alderman Kilgour). A number of clergy took part. There was a two minutes’ silence, during which those present stood with bared heads; a passage from the Bible was read, and prayers were recited. CAME THE RELIEF! ‘”We meet to express gratitude to God for the blessings of peace, and to pay a tribute of respect and reverence to the heroes of the great war,’ said the Rev. Lundle, of the Hamilton Presbyterian Church. ‘We remember the strain and anguish of these terrible days of war, and the relief it was when the armistice was signed.” The speaker said that it was also owing to the courage and endurance of our men that the crowd was there that day. It was meet and fitting that they should turn aside for a few minutes to pay a tribute of gratitude to the men who fought. SHORT MEMORIES. “It is a strange thing in city like this, that we cannot give up our business for a few minutes,” he continued. “It only shows that we have short memories. We sent them away with flags waving and bands playing and our promises that we would look after them and their dear ones. We welcomed them when they came back, but eaten bread is soon forgotten, and I am afraid that that is the case with many. They thought of the men who had died, and rightly so, he went on, but what about the men who had been spared to come back? What about the men who had endured the horrors of war and had been broken in body and shattered in mind? What were they doing for them? He believed the Commonwealth had been trying to do its duty, and yet there was a good deal more to be done. Evidently some wanted to make sure that the men did not forget the mud and hardships of the trenches. When they came back they were sent to live where they had to wade through mud and slush to get to their homes. Villers-Bretonneux, Somme: “A little bit of Australia in the heart of France”. 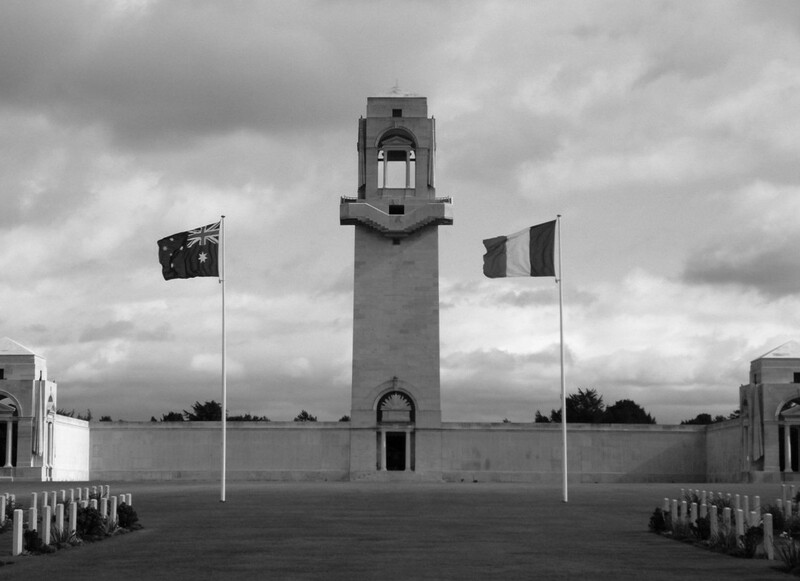 Villers-Bretonneux Australian National Memorial, France. Courtesy/© of Heather Anne Johnson. ANYTHING GOOD ENOUGH. When they sent the men away the people at home said nothing was too good for them. Now they said anything was good enough for them. Was it fair? No matter what law they made there were always cases that could not be met by it. He believed there were cases in Newcastle of genuine returned men who were in need, whose children were suffering. That should not be so. Warriors’ Day was set aside to provide for such cases as that. Instead of sentiment they needed practical sympathy. WHEN DREAMS COME TRUE. The new world had not come, because of the greed and selfishness of men. They were trying to remodel the world on the old lines. Surely they could learn the lesson of the war, the lesson of brotherhood, of sacrifice and help, so that the slur that returned soldiers were in want could not be cast on the city. They should get the spirit of Christ, the spirit of brotherly love. Then, and not till then, would the new world, of which they dreamed, come to pass. More often than not, in Australian newspapers, name-dropping the French President’s wife Madame Millerand rather than Madame Guérin – was much preferred when writing about the French Children’s League and the poppy. FIRST LADY OF FRANCE AIDING IN “WEAR A POPPY” MOVEMENT: “The red poppy of Flanders Fields, the flower immortalised in verse when it bloomed over the graves of the hero dead sleeping there, is proving a new bond of friendship between the allied countries and France. The “Wear a Poppy” movement is sponsored by The Children’s League in France’ of which Madame A. Millerand, wife of M. Millerand, President of France, is the leader. 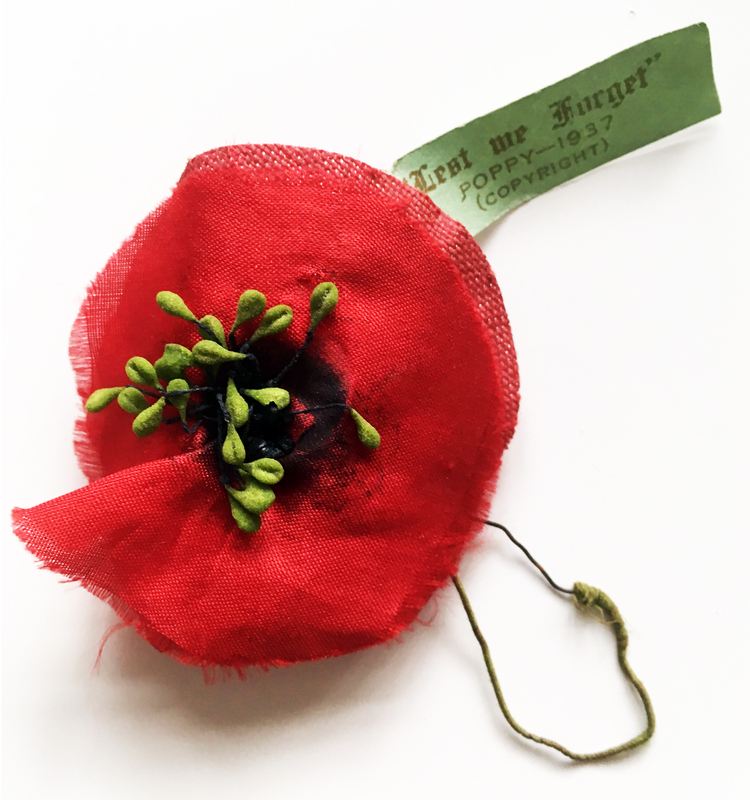 Replicas of the Flanders poppy will be worn by the people of France and the Allied nations on Armistice Day in memory of those who fell fighting for humanity’s cause. Madame Millerand. Daily Telegraph: Launceston, Tasmania. 11 November, 1921. The organisation of the Children’s League in France is a clearing house for the relief work among the children of the war-torn areas, and the funds raised through the sale of poppies will go toward the …. Of the condition among these children and the wounded veterans. These poppies have been made by French orphans and millions of them have been sent to the Allied countries for sale on Armistice Day. Madame Millerand has been heart and soul in relief work ever since the declaration of war. She has given many hours daily to it and still continues to do so despite the demands upon her time because of her husband, as “first lady of the land”. In many case she has personally administered relief, taking necessities to needy children.” (Daily Telegraph: Launceston, Tasmania, 11 November 1921). Poppies distributed were described in the Australian newspaper (Northern Miner, Charters Towers, Queensland) on 11 November 1921: “The stalks of the poppies bore little strips on which were printed the words: “Decoration Day 1921. The poppy lady from France.”” Thus, this validates the poppy held by the Australian War Memorial (as shown below) as being one of Madame Guérin’s French-made poppies distributed on the Australian streets in 1921. After Armistice Day, Col. S. A. Moffat left Australia – his work completed. He sailed out of Sydney on the ship ‘Makura’ and arrived in Auckland, New Zealand on 15 November. New Zealand had decided to reserve Anzac Day – the 25 April 1922 – for their poppies. Thus New Zealand was the next organisational challenge for Colonel Moffat. Apart from his role in promoting the Poppy movement in Australia and New Zealand in 1921, nothing had been discovered about Colonel Moffat’s past life and true identity for months after this research began. If Madame Guérin had been the mysterious woman initially, Colonel Moffat remained the mysterious gent for longer. In the majority of cases, he was only referred to as “Colonel Moffat/t” in Australian and New Zealand newspapers. Likewise, within discovered American newspaper articles, the reporter would write as if readers would know who he was without further elaboration. As is often the case, “good things come to those who wait” … and to those who dig a little deeper, of course … and Colonel Moffat was identified eventually. Samuel Alexander Moffat was born at Comely Park Place, Gallowgate, Glasgow, Lanarkshire, Scotland on 24 January 1878. His birth was registered in the Dennistoun District of Glasgow on 4 February 1878. His Scottish parents were Blacksmith Samuel Moffat and his wife Margaret nee Robertson (born c1856). The couple had married on 15 August 1873. On 20 September 1888, Samuel A. Moffat arrived in the USA, docking at Boston, Mass. Samuel arrived with his mother and three sisters: Agnes, Jeanne and 4 month old Mary. They arrived on the ship ‘SS Waldensian’, which had sailed from Glasgow. Father Samuel must have gone to the USA ahead of the family, which often happened – however, the arrival date for this specific Samuel Snr. has not been discovered. 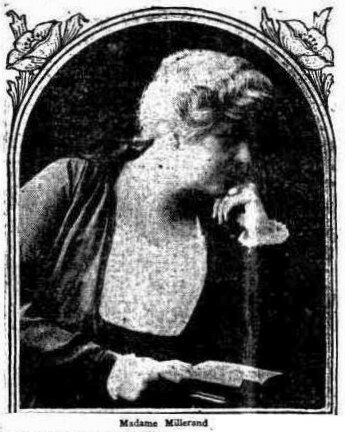 Samuel married one Ethel Busiel Morse on 12 September 1906 – Ethel was born in Putnam,Connecticut. On 25 March 1908, Samuel signed a Declaration of Intention to become a US citizen. Samuel’s occupation was given as General Secretary/Financial Secretary of the Y.M.C.A. – he was living in Saratoga Springs, NY. He became “Nationalized” in the USA on 05 August 1910 – in Kings County District Court, New York. When the 1910 census took place on 15 April, Samuel was living with Ethel at 1042 E 14th St., Brooklyn Ward 31, Kings, N.Y. His occupation was “Social Worker” for an “Association”. Samuel was found arriving in New York on 5 September 1912, from Southampton UK on the ship ‘Olympic’ – it had left the British shore on 29 August. His address was still 1042 E 14th St., Brooklyn Ward 31, Kings, N.Y. Why he had been in Great Britain is not known … there were no clues on the Passenger List, unusually. In the 1915 US Census, the Moffat surname was written “Moffitt”. Samuel’s occupation was “Com. of Boy Scouts” (Commissioner?). He and Ethel were living at 46 S Portland Avenue, Brooklyn, Kings, NY. Jumping to 12 September 1918, Samuel’s WW1 Draft Registration Card was signed on this day. His occupation was given as: National Federal Director, Boy Scouts of America. There was no time lost – on 11 November 1918, his passport was applied for with reference to his post “Red Cross Director General of Belgium staff”. On 24 November, Samuel had arrived in Liverpool on the ‘Caronia’ from New York. He was “Going to France” as a “RC worker”. Madame Guérin’s Colonel S.A. Moffat. Edited from Passport Application, 11 November 1918. U.S. Passport Applications; National Archives; Records Administration; Ancestry acknowledged. Thus, Samuel was in the post of “American Red Cross Director General of Belgium staff” from November 1918 until, it is believed, August 1919. From that post, he became the ARC Commissioner to Hungary (Budapest) in the rank of Major – until April 1920. November 22, 1919. Major-General Harry Hill Bandholtz entertained, amongst others, Major Moffat. November 27, 1919. Major Moffat enjoyed a ‘Thanksgiving’ dinner at the quarters of Major-General Harry Hill Bandholtz, given for all American officers in Budapest. On 13 April, a Passport Application Request was made to add Constantinople and Greece to the countries already existing on Samuel’s passport – with reference to his Red Cross Work. Countries en route had included: France, Switzerland, Italy, Kingdom of Serbs, Greece, Constantinople. Temporary address: 4 rue de Chevreuse, Paris, France. “REDS TAKE MATERIAL OF AMERICAN FLIERS. WARSAW, June 16. – The bolsheviki, in their advance against the Poles, have overrun the region in which was situated the aerodrome of the Kosciusko squadron, the air force comprised of American volunteers, which had been operating with the Poles. Some of the Americans’ material was captured by the soviet troops. The headquarters here of the American Red Cross received a message today from Major Bruce Mohler, of the contingent in the region to the east, announcing that all the Red Cross workers had gotten out of the territory occupied by the advancing bolsheviki. It was on this same day that the evacuation of Kiev by the Poles was begun. * There was great confusion, all the railroads having been cut at various places by Budenny’s forces. (*13 June 1920). The daughter of the Rev. 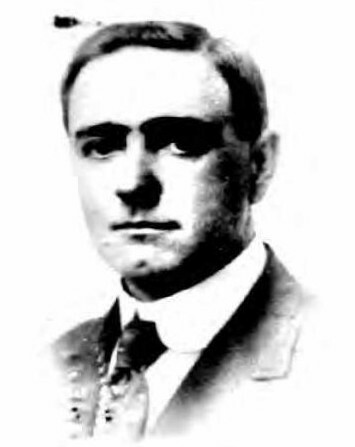 Dr. Frederick W. Hinnit had written home about “interesting experiences” in Serbia and mentioned Colonel Moffatt. Miss Hinit, accompanied by Sergeant Ruth Farnam, had sailed from New York on 06 June 1920 to Le Havre. They made a rendezvous in Venice, Italy with the chairman of the American committee in charge of work in Serbia (Mr. Kingsbury). Madame Guérin’s Colonel S.A. Moffat. Edited from Passport Application, 19 March 1920. U.S. Passport Applications; National Archives; Records Administration; Ancestry acknowledged. “… … Another meeting of Commissioners had been called for June 18th in Venice, Italy, and as I wished to take with me the latest information I could get from the Jugoslav government and also, in view of my approaching release from duty, desired to bid farewell to the various officials who had helped us in our work, I decided first to Belgrade, where I could easily board the Orient Express on its westward run. Captain Lawrence M. Mitchell accompanied me. It was unfortunate that the notice sent out to the ARC units in Europe to discard military uniforms should have arrived in Montenegro during my absence from the country; and my first step on returning was to revoke the order. But some mischief had already been done; and even as I was landing at Antivari, I learned that Major Javos, our Medical Director, and Miss Myrtle Dean, our Chief Nurse, while on their way to Andriyevitza, had been waylaid by comitadji and robbed of everything valuable in their car and on their persons. They were not in uniform, and their assertion that they were officers of the ARC had been met with derision. … I lost no time in sending a report of the incident to Paris. Colonel S. A. Moffat began working for (and representing) ‘La Ligue Americaine Francaise des Infants’ in March 1921. In her Synopsis (quickly written in 1941), Madame Anna Guérin wrote about the 1921 headquarters of her ‘American-Franco Children’s League’Poppy Drive moving to New York and added “Colonel Moffat , the right hand of Mr. Hoover (while he was feeding Europe) arrived at that time from Austria and joined us in our work.” – ?June 1921? In July 1921, Samuel Moffat was found staying at the same hotel as Madame Guérin – the Queen’s Hotel in Toronto. It was agreed that Samuel would travel to New Zealand and Australia to promote the ‘Inter-Allied Poppy Day’ scheme. On 14 July 1921, Samuel applied for a passport. He gave his address as 99 Lafayette Ave., Brooklyn, N.Y. and other details were: 5’ 6” tall; Dark brown hair; Brown eyes; Straight nose; Square chin; Passport was to be sent to: Queen’s Hotel, Toronto, Canada. The ‘Affidavit of Identifying Witness’ was given by Madame E. Guérin of The American-Franco Children’s League (on headed paper), written from the Queen’s Hotel, Toronto, Canada. The passport was issued on 18 July. Samuel sailed from Vancouver, Canada on 06 August, aboard the ship ‘Muruka’. He arrived in Auckland, New Zealand at 7a.m. on 27 August. On 13 September, Colonel Moffat arrived in Melbourne, Australia from New Zealand (see aforementioned information for Australia and the chapter for New Zealand for specific details). Samuel Moffat sailed ‘twixt Australia and New Zealand a few times – as documented above, within Australia timeline; New Zealand chapter; and below in Col. Moffat’s Poppy Timeline. “POPPY DAY APPEAL. AMERICAN OFFICER’S STRIKING SPEECH. The president (Mr. G. J. C. Dyett) and executive of the Returned Sailors and Soldiers’ Imperial League of Australia entertained at dinner at the Francatelli Caef last evening Colonel S. A. Moffat, representative of the League for the Protection of the Children of the Devastated Regions of France. In responding to the toast of his health, Col. Moffatt said that as an American he regretted two things. One was that America had not entered the war sooner; the other was that, having entered it, she had to quit so soon. He would have liked the war to have continued until there was no doubt in the German mind who had won the war. He would liked to have seen the war not conclude on 11 November, 1918, but on the following Christmas day, so that the Allies could have had Christmas dinner in Berlin. They perhaps did not know that by the end of 1918 there were 298,000 French homes completely destroyed, and 280,000 partially destroyed, leaving homely [homeless?] in the northern parts of France a population almost half the size of the Commonwealth. Reconstruction in France was progressing at a remarkable rate. When the armistice was signed he had the privilege of helping to entertain and clothe 10,000 children at Lille, and he had found that the children had been so stunted by the effects of the war that boys and girls of the age of 10 years were wearing clothes that would comfortably fit children of 6 years of age in Australia. He appealed for the people of Australia to work for the success of “Poppy day,” which would be celebrated in all the Allied countries. In her 1941 Synopsis, Madame Guérin wrote about how she went [sic] “to England, Belgium, Italy myself , while I was sending Colonel Moffat to South Africa (Natel) , to Australia and New-Zealand.” To date, Colonel Moffat has not been discovered in South Africa. However, it is wondered whether Colonel Moffat made a rendezvous with South African First World War veterans if/when his ship ‘Aeneas’ stopped at Durban (Port Natal) en route from Melbourne, to Liverpool. 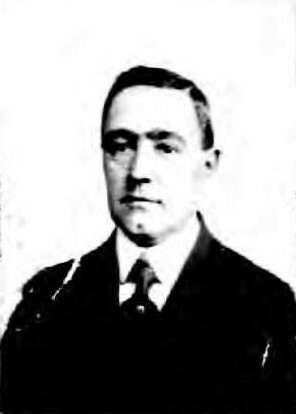 Colonel Moffat sailed for England from Melbourne, Australia on 31 December 1921. One “Samuel A. Moffat” arrived in Liverpool on 20 February, on the ship ‘Aeneas’, “in transit [to] France”. This gentleman had given his occupation as “Publicity Agent” and was aged “44” – all facts point to this being the Colonel Moffat. Colonel Moffat would have felt happy and confident that he had been a successful ambassador for Madame Anna Guérin. No details have been discovered about the Colonel’s activities in France. He arrived back in New York on 05 October 1922, from Le Havre, on the ship ‘La Touraine’. Next, he visited Cuba because he arrived back in New York from Havana on 12 November 1922 – on the ship ‘Ulua’. In 1923, Samuel married Mrs. Louise Gordon Hawkins (nee Louise Gordon Kettle born 17 April 1881 in Wairoa, New Zealand) in New Zealand. Louise had had three children by her first husband Charles Arthur Beauchamp Pickard Hawkins: Osbert William Arthur Pickard Hawkins (1907); Elizabeth Audrey Pickard Hawkins (1909); Virginia Pickard Hawkins (1913) – all took the Moffat name. It is assumed both Louise and Samuel were each divorced upon marrying, as opposed to being widow/widower because both spouses can be found alive. 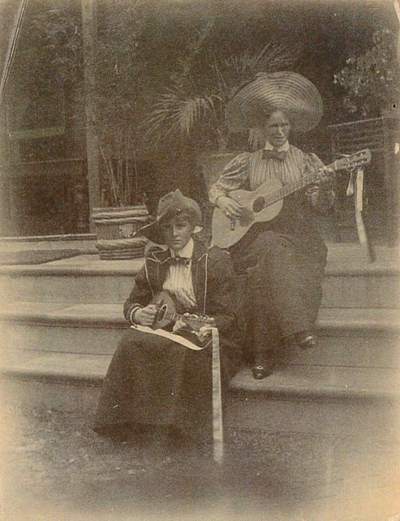 Mrs. Samuel Moffat: Louis Gordon Kettle and her mother, at Katikati, New Zealand (1900). Emily Surtees Photographic Collection. Photographer: Emily Surtees (nee Stewart) (eldest child of George Vesey and Margaret Stewart). Courtesy of Elizabeth Smith and Ellen McCormack. Tauranga City Libraries Image Number: 16-317 (Ref: Page 42, 003). On 04 September 1923, the Auckland Star’s ‘Personal’ column notified readers that “Colonel S. A. Moffatt and Mrs. Moffatt, of New York, arrived by this morning’s express from Wellington, and are staying at the Grand Hotel.” They were there for Colonel Moffat to see the new Mrs. Moffat and her children set sail for Seattle, a week later on the 11th. On 1 December 1923, one married “Moffat, Louis” and her three children arrived at Seattle, Washington State from Auckland, New Zealand – on the Pacific Mail Steamer ‘RMS Niagara’, which was bound for Vancouver, Canada. Louise gave her occupation as “School Teacher”. They had been placed on the ‘Alien Sheet’ and Louis gave their final destination as New York City, to join her “husband”. However, Samuel Moffat had travelled with them and was also on the Passenger List but not within the same Passenger List grouping. On 01 April 1930, the US Census showed Samuel with wife Louise and step-daughter Virginia, 16 years old. They were living at 66 Grand Avenue, Ridgefield Park, Bergen, New Jersey. Samuel’s occupation was “Organizer for Churches and Colleges”. Life jumps forward to the 1940 census now and Samuel is found with wife Louis. Samuel’s occupation is listed as a “Field Director” for a “Charitable Organization”. The couple are still living at 66 Grand Avenue, Ridgefield Park, Bergen, New Jersey. In 1942, a WW2 Draft Registration Card was discovered for a Samuel Alexander Moffat. It is definitely our Samuel Alexander Moffat, as the birth date is 24 January 1878. Samuel is “64” years old. His employer was given as Ward-Wells Dreshman. Ward, Wells & Dreshman was a company that specialised in ‘Money Raising Campaigns’ – given his Poppy promotional experiences, Samuel would be an ideal employee for such a company. The company still exists today, under the name of ‘Ward, Dreshman & Reinhardt Inc.’. Colonel Samuel Alexander died at his home, at 66 Grand Avenue, Ridgefield Park, Bergen, New Jersey, on Saturday, 16 October 1948. A private funeral service and commitment was held at the Snell Funeral Home, Ridgefield Park, New Jersey on Monday, 18 October at 10 a.m. The death notice appearing in the newspaper stated “Kindly omit flowers”. Samuel’s widow Louis died on 10 August 1980 in Havelock North, Hawkes Bay, New Zealand. 1921, ?? Jun: Probably June 1921, Madame Guérin’s ‘American-Franco Children’s League’ poppy headquarters moved to New York. Colonel Moffat began working there soon after this move. 1921, 14 July: At Queen’s Hotel in Toronto, Canada, with Madame Guérin. His passport application is dated 14 July 1921. 1921, 18 July: Colonel Moffat’s passport was issued. The ‘Affidavit of Identifying Witness’ on the application was Madame Anna Guérin. 1921, 06 Aug: Col. Samuel A. Moffat sailed from Vancouver, Canada – for New Zealand. 1921, 27 Aug: Madame Guérin’s representative, American Colonel Samuel A. Moffat arrived at the New Zealand Port of Auckland from Vancouver (on ship ‘Makura’) on his Poppy mission. 1921, 06 Sept: ?Colonel Samuel A. Moffat may have left Wellington, NZ for Melbourne, Australia. 1921, 13 Sept: Madame Guérin’s representative Colonel Samuel A. Moffat arrived in Melbourne from Wellington, New Zealand. He did not need to persuade Australians to adopt the Poppy per se – only promote and make arrangements for poppy distribution leading up to 11 November. 1921, 14 Sept: Colonel Moffat was entertained in Melbourne by representatives of the ‘Returned Sailors and Soldiers Imperial League of Australia’. The headquarters of R.S.S.I.L.A. was in Melbourne at that time. 1921, 19 Sept: “Mr. S.A. Moffatt” arrived Sydney from Freemantle, W. Aus. Was this the Colonel? 1921, 20 Sept: ?Colonel S.A. Moffat departed Australia for New Zealand? 1921, 25 Sept: ?Colonel S.A. Moffat arrived back in New Zealand from Australia? 1921, 01 Oct: Colonel S.A. Moffat departed from Auckland, NZ. bound for Sydney, on ‘Riverina’. 1921, 07 Oct: During the night, Colonel Moffat arrived in Brisbane from Sydney (on the mail train). 1921, 12 Oct: Colonel Moffat called on the Consul for France, Major H. R. Carter. 1921, 14 Oct: Colonel Moffat was in Brisbane, Australia, addressed a Town Hall meeting. He was made an honorary member of Australia’s R.S.S.I.L.A. – a compliment rarely conferred by the league. 1921, 15 Oct: Colonel S. A. Moffat left Brisbane for Sydney, on the ship ‘Canberra’. 1921, 04 Nov: “Poppy Week” commenced in Australia. The Federal executive of the Returned Sailors and Soldiers League of Australia held a dinner at the Francatelli Café, Melbourne. Colonel Moffat was introduced by the president (Mr. G. J. C. Dyett) as the “first ambassador of the French committee” – i.e. Madame Guérin’s American-Franco Children’s League. 1921, 11 Nov: Third anniversary of Armistice Day. First Poppy campaign for Australia. 1921, ?? Nov: Colonel S. A. Moffat left Sydney, for Auckland New Zealand. 1921, 15 Nov: Colonel S. A. Moffatt arrived in Auckland, NZ from Sydney (on ship ‘Makura’). 1921, 13 Dec: A “Mr. S.A. Moffatt” arrived in Sydney, Australia from Wellington, New Zealand. 1921, 31 Dec: Colonel Moffat sailed for England from Melbourne, Australia on the ‘Aeneas’. 1922, ?? Jan: Did the veterans of South Africa adopt Madame Guérin’s ‘Inter-Allied Poppy Day’ scheme from her representative Colonel Moffat? His ship ‘Aeneas’ would have stopped at South Africa en route to England – at either Durban (Port Natal) or Cape Town. Did Colonel Moffat meet South African veterans then and deliver Madame Guérin’s message? 1922, 20 Feb: Samuel A. Moffat arrived in Liverpool, on the ship ‘Aeneas’, “in transit [to] France”. 1922, 24 Apr: New Zealand’s first Poppy Day – the eve of Anzac Day. 1922, 05 Oct: Samuel Moffat arrived in New York, from Le Havre, France, on the ship ‘La Touraine’. No details have been discovered about the Colonel’s activities in France. 1922, ?? 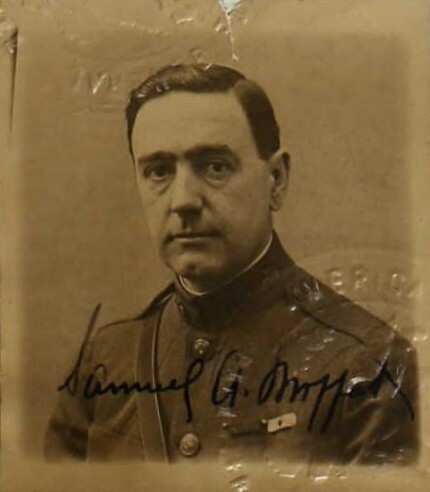 : Samuel Moffat departed New York for Cuba. Did he go to help the ‘National Poppy Committee’ in some regard? 1922, 12 Nov: Arrived back in New York from Havana, Cuba on the ‘Ulua’. A 1937 Australian Remembrance Poppy. Courtesy/© of Peter Doyle. 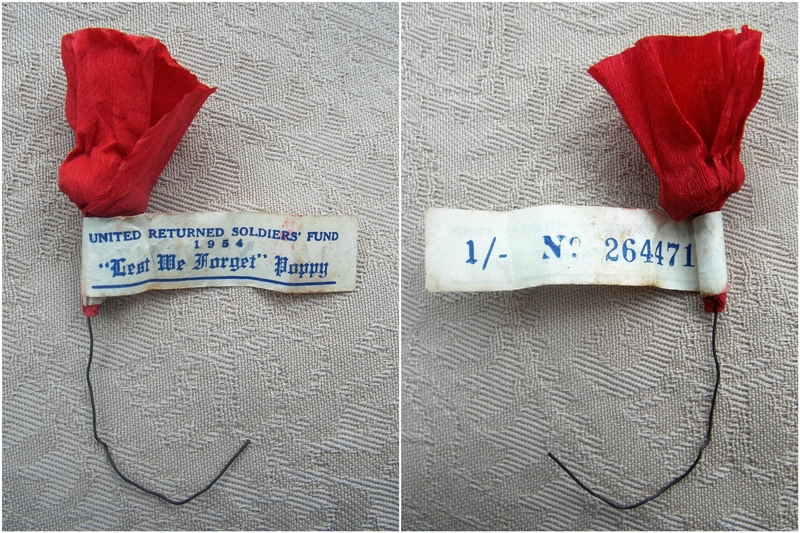 A surviving Australian 1954 ‘United Returned Soldiers’ Fund’ “Lest We Forget” Poppy. 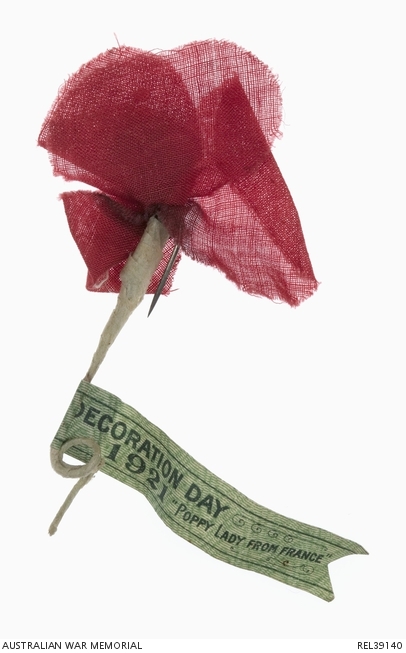 It is made from crepe paper and is yet another example of Madame Guérin’s ever-lasting ‘Inter-Allied Poppy Day’ idea. Courtesy/© of Heather Anne Johnson. Australian Remembrance Poppies. Courtesy/© of A.K.S., Australia. Australia remembers. Courtesy/© of A.K.S., Australia. 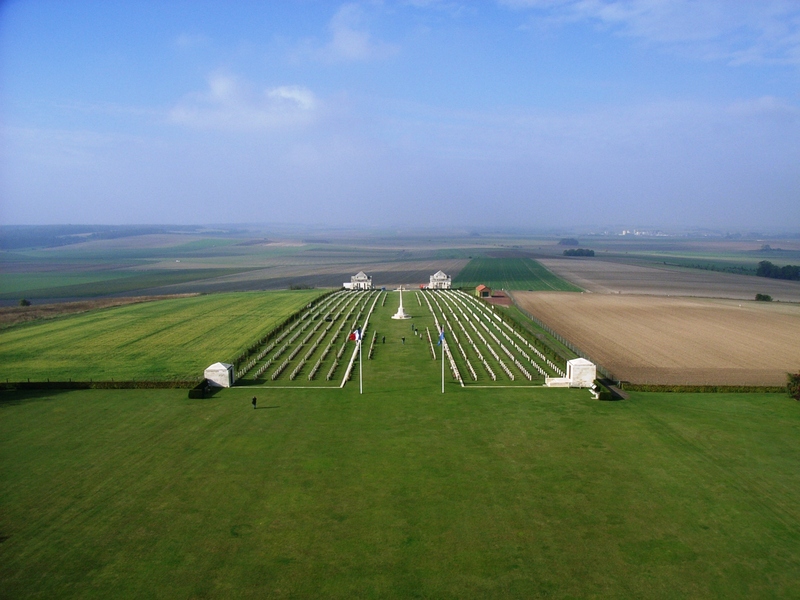 Military Cemetery, Villers-Bretonneux, France from the top of the Australian National Memorial tower. “Never let us forget Australia” – “N’oublions jamais l’Australie”. Courtesy/© of Heather Anne Johnson. 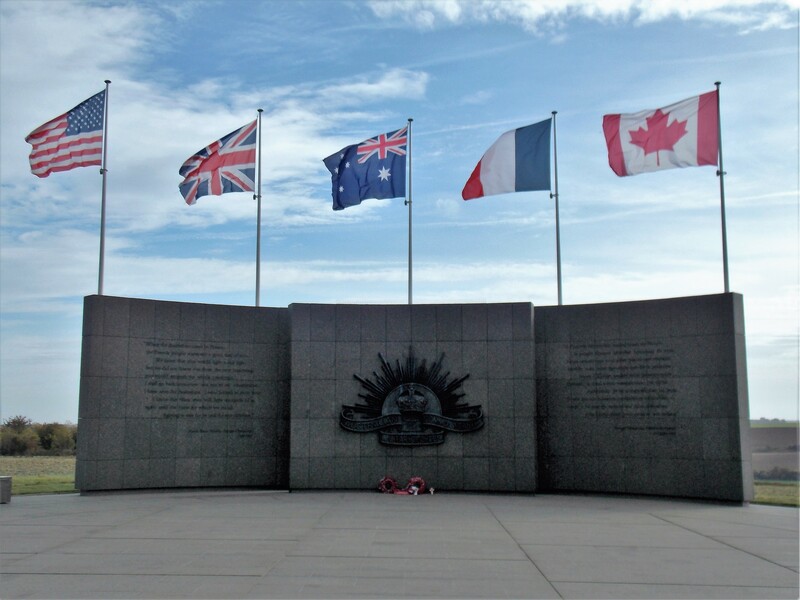 Australian national flag, flying at the Australian National Memorial at Villers-Bretonneux, Somme, France. Courtesy/© of Heather Anne Johnson. Top of the Australian National Memorial tower, at Villers-Bretonneux: 10,488 miles from Canberra. Courtesy/© of Heather Anne Johnson. The ‘Order of Ceremonial’ belonged to Hubert Chaloner and has been treasured by, and passed down to, two generations since. Hubert attended this ceremony with his elder brother Eddie (John Edward Chaloner). Eddie was born in 1893 Warrington, Lancashire. Eddie was an Old Contemptible who served in the Royal Field Artillery – he was married in 1917, to the French lady Marie Gisquiere. After the Armistice, they lived in Armenteires. Eddie worked for the Imperial War Graves Commission for 27 years. Hubert, on the other hand, served in the Second World War – he was 16 years younger than his brother Eddie. Hubert was a professional soldier who served in the 2nd Battalion of the Royal Berkshire Regiment prior to War, going to France with the BEF in 1939 in the 1st Royal Berks. Unveiling Ceremony, Villers-Bretonneux Memorial: 22 July 1938. Australian Le Hamel Memorial, Somme. Courtesy of Heather Anne Johnson. “When the Australians came to France, the French people expected a great deal of you … We knew that you would fight a real fight, but we did not know that from the very beginning you would astonish the whole continent … I shall go back tomorrow and say to my countrymen: I have seen the Australians. I have looked in their faces. I know that these men will fight alongside of us again until the cause for which we are all fighting is safe for us and for our children.” Georges Clemenceau. 7 July 1918. 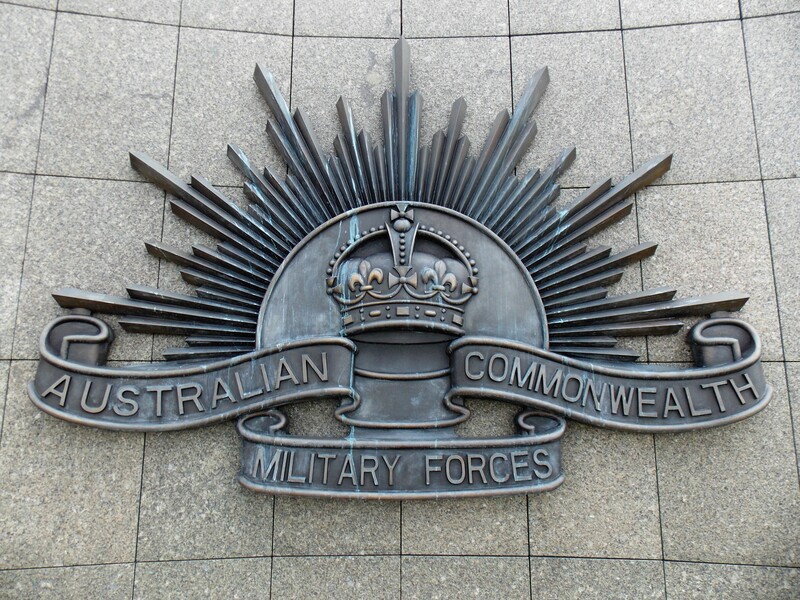 Australian Commonwealth Military Forces. Courtesy of Heather Anne Johnson. “A l’arrivée des troupes australiennes en France, le peuple français accendait beaucoup de vous … Nous savions que vous allies mener une véritable bataille, mais nous ignoriens que des la première heure l’Europe entire seraic impressionnée … Demain, je dirai à mes compatriots: j’ai vu les Australiens, je les ai regardés dans les yeux. Je sais que ces hommes combattront à nos côtés jusqu’ à ce que les valeurs que nous defendons tous l’emportent, pour nous et nos enfants.” Georges Clemenceau. Le 7 Juillet 1918. Vintage Australian Remembrance : ANZAC : Poppies. Courtesy of A.K.S., Australia. 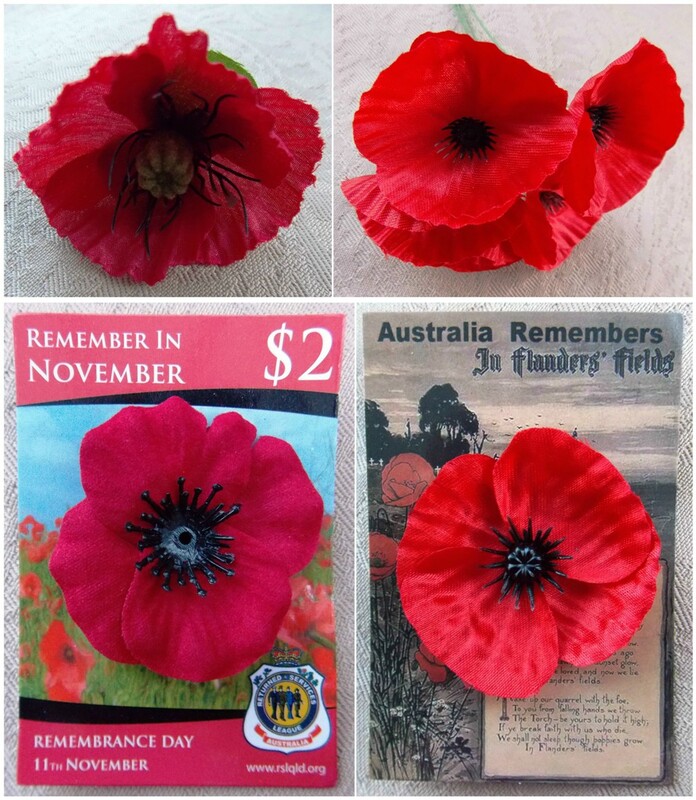 Remembrance Poppies & ANZAC fundraising souvenirs. Courtesy of A.K.S., Australia. ANZAC pins / badges : Australia. Courtesy/© of A.K.S., Australia. Pozieres Memorial Park, Somme. Courtesy/© Heather Anne Johnson. Poppy Lady Madame Guérin would approve of this display at the new Pozieres Memorial Park in France – a site which was only inaugurated on 22 July 2017, “opening” on 23 July. 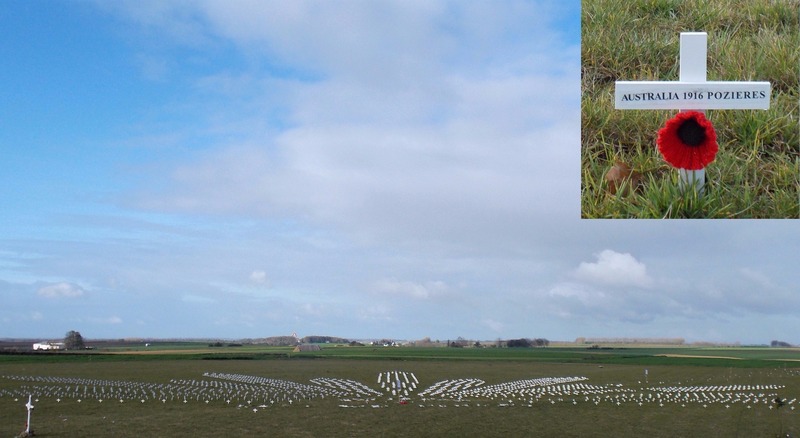 It shows some of the 7,000 crosses placed there, in the Australian Rising Sun design, to represent the number of Australians who lost their lives on the fields of Pozieres. Each cross holds a red knitted poppy. 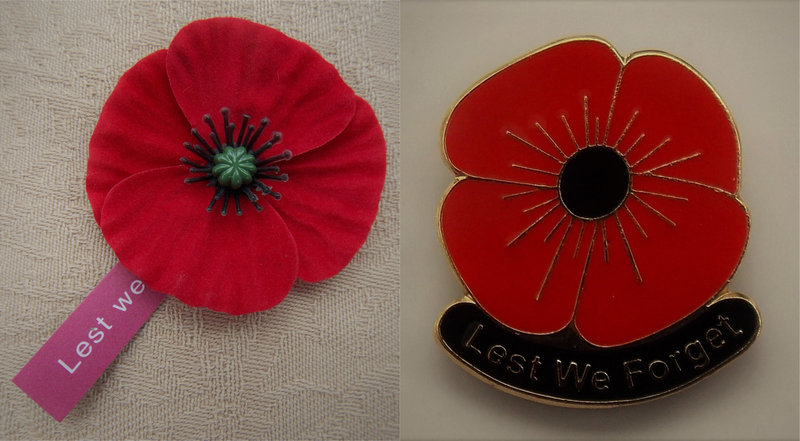 Two Australian RSL Poppy Pins : 2017 : “Lest We Forget”.